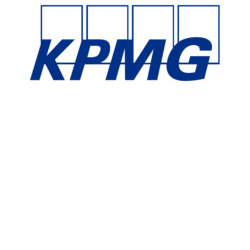 KPMG is a professional services firm with global reach, and deep expertise in audit and assurance, tax and advisory. KPMG has deep industry experience in technology, education, government and aerospace and defence. We have a strong track record in areas including finance & procurement, organisational change management, transformation and program management and engineering and infrastructure delivery. We operate in 154 countries and have more than 200,000 people working in member firms around the world. In Australia, KPMG has a long tradition of professionalism and integrity, combined with our dynamic approach to advising clients in a digital-driven world. We have approximately 6,700 people, including over 400 partners, with offices around the country. KPMG’s Defence and National Security team understands the defence environment. Our team work alongside clients to combine our deep industry expertise, innovative approaches and critical thinking to deliver real results. We bring the latest insights from other sectors and countries to help solve your problems in a practical way. Our experienced professionals are comfortable working in positions of trust on a variety of sensitive issues, and many hold high-level security clearances with the government. At KPMG, we understand that businesses cannot be held back by cyber risk. Our professionals recognise that cyber security is about risk management – not risk elimination. No matter where you are on the cyber security journey, we can help you reach the destination: a place of confidence that you can operate without crippling disruption from a cyber security event. Working shoulder-to-shoulder with you, we can provide cyber security services for Strategy and Governance, Cyber Transformations, Cyber defence, Cyber response services. KPMG has deep industry experience in technology, education, government and aerospace and defence. We have a strong track record in areas including finance, taxation & procurement, cybersecurity, organisational change management, transformation and program/ project management, engineering and infrastructure delivery which are all relevant to the ongoing growth and success to the Space industry. KPMG's unique selling and value proposition is in our extensive breadth and depth of knowledge in both the public and privates sectors. We have credientials and global knowledge with entities such as NASA and the Canadian Space Agency, as well as a strong, well-respected background in aerospace and Defence.